Of course I was horribly wrong. In my hopeful programme note for the match against Annan, I mean. Sons were dire. The Galabankies were just a fraction less dire and won 2-0. I had a wonderful time up in Dumbarton, but the football wasn't a huge part of it! Normally I write this column from the remoteness that is southwest England. This one comes to you from the very far post of New York City, where time runs four hours slow and football is something you routinely play by picking up a projectile and then smashing somebody else in the ribs before hurling it downfield. I know what you’re thinking: “I’ve seen games like that in the SFL, too.” Not this afternoon, hopefully. After a disappointing defeat at Links Park we need to get straight back to winning ways at the Rock – especially as our guests include heroes from the famous Sons side that won promotion to the SPL in the mid ’80s. This 25th anniversary season is one we’d all like to celebrate in style by beginning the climb back to the top with a prompt return to Division Two. But we’re going to have to fight every match, every goal and every point – as the trip to Cliftonhill will no doubt have shown, though the outcome of that particular encounter is unknown as Sons View goes to press. Indeed by the time you read this I should be sitting somewhere nearby at SHS, feeling very happy to be here again… if slightly jetlagged. The plane will have touched down on Friday afternoon, and after a quick lunch with my wife, it’s straight on the train to Glasgow. Even if my head is still spinning a bit, I still intend to put my vocal chords to full use in encouraging the Sons to victory. Back in December I managed the daytrip to a rather damp and muddy Galabank, via Birmingham, for our last meeting with the Third Division new boys. The social club hospitality was fine, but we went away with our tails between our legs after losing the game right at the end, when a stalemate would at least have felt a fair result and would have put one more vital point into the chest. I also nearly managed to miss my connection back to the Midlands because of a broken down train between Annan and Carlisle – so the Black and Golds owe me one, I feel. Annan Athletic have enjoyed a significant resurgence of form of late, especially at home. The 6-0 thumping of basement boys Elgin and last week’s 3-1 defeat of leaders Cowdenbeath, who suddenly seem to have lost the plot, will have given them a real boost. But let’s not forget that interlaced with those two impressive results came defeats away at Forfar and Albion. Indeed, aside from a 3-0 win against our most recent vanquishers two months ago, our opponents’ form on the road not been great. So while we hope their fans have an enjoyable day out, there’s no need for Dumbarton to feel obliged to show any charity on the pitch. Meanwhile, we can be thankful that other results have been going our way. Last weekend, all the promotion contenders lost. Indeed, overall Sons made a gain in terms of goal difference. This afternoon, the Shire and Cowdenbeath meet at Central Park, which emphasises the need to capitalise on someone else’s inevitable slippage. You can’t expect the rest to do it all for you. At this end of the season, pressure builds remorselessly, especially when you have the kind of fixture pile up the Sons have been enjoying. My memory is that it used not to be quite like that in the late ’60s and early ’70s when I was in my first flush of my football enthusiasm. But I am probably being misty-eyed. I agree with Chris that La Liga is probably the most exciting in Europe at the moment. That said, Real got hammered by Liverpool in the Champions League recently, and Atletico were outwitted and ground down by Porto. It’s a cruel old results-driven world. So prepare for some Sons alchemy, you Galabankies! While I've been away in the US (I'm on my way up to Scotland as I write this), I see my colleague and friend Jonathan Bartley has been hob-nobbing with Gary Lineker - here snapped on his mobile from the reception for the launch of a great venture called 'The Street Child World Cup'... whose backers include the estimable Amos Trust, which does advocacy and development work in Palestine-Israel. That's his excuse, then. Jon's, I mean. Gary who? Not much left to the imagination in Dumbarton gaffer Jim Chapman's response to a disappointing result against Albion Rovers midweek. Let's hope this has the desired impact on Saturday. He declared: "You cannot turn up for five minutes and expect to win a football match. If we have any serious thoughts about challenging then we have to fight from the very first whistle. Very disappointingly we again got the basics wrong last night and the players have been left in no doubt that is unacceptable. The way you finish a game is also the way you should start a game and I'll be looking for a similar start against Annan to how we finished last night." The rest is here. Thought the BBC didn't take adverts? It depends where you live. Staying briefly here in New York City I can't access video clips (interviews, action sequences and the like) from their football website - but instead I get promotions for all kinds of US products and films. I assume this doesn't happen randomly. If it's paying for content elsewhere by using the space provided by copyright limited content in other territories, fair enough I guess. Come to think of it, does BBC America take paid-fors? I've never actually noticed... but I guess this is regarded as part of overseas "commercial services" that keep the mainland British license fee down. Dumbarton never do things the easy way. So it felt inevitable that we would slip up away at Links Park to a Montrose side who have been in a very poor patch of form lately, allowing their promotion chances to whittle away. Fortunately, the Sons' 1-0 defeat wasn't as bad as the fate the befell those around us in the race for top spot or the play-offs. Cowdenbeath lost 3-1, East Stirling got whopped 4-0 at home, Stenhousemuir went down 2-0 and Albion Rovers 4-0. All of which means that, in spite of a defeat, DFC actually gained a slight advantage on goal difference. It's a wonderful game. Not that we can afford to cave in against Annan Athletic on 21 March - especially as I'll be there. Meanwhile, there's a trip to Cliftonhill tomorrow night, sans Andy Geggan (pictured) and Gary Wilson. After eight back-to-back games undefeated, Tuesday night’s home loss against Bournemouth was undoubtedly a body blow – because the match was effectively thrown away by defensive slips, but also because the Grecians lost the chance to claim fourth place, just behind those important automatic promotion slots. It’s vital to get things in proportion, however. Exeter are still only three points adrift of third-placed Rochdale. We are now level with today’s visitors, Bradford, who the Dale beat 3-0 four days ago. And when was the last home game where we witnessed a defeat here at St James’ Park? That would be back on 28 December 2008, against Brentford. Overall, then, it would be fair to say that the Grecians’ midweek stumble over south coast opposition looks like a blip rather than a crisis. Those who were booing at the end of the game need to remind themselves just how well City have done so far this season. We have become used to things going our way in recent weeks, but Bournemouth reminded us that nothing is easy in League Two. The run-in to April will be especially tough. A word of respect should also be offered to Eddie Howe and the Cherries, who are battling against what most expected to be a near certain relegation prospect at the beginning of the term, given the club’s financial situation and a mandatory points deduction. But they have struggled valiantly. Meanwhile, the real tragedy of Tuesday night was nothing to do with losing a game of football, regrettable though that might be. 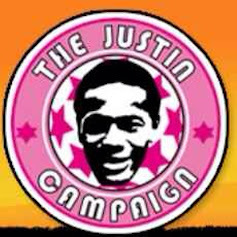 It was the tragic loss of life endured by a supporter who fell ill on the terraces just before the match began. Liverpool legend Bill Shankly was once famously cornered on television in an interview where he appeared to say that football was right up there with life and death issues. He was quick to point out that he hadn’t really meant it that way. When human life is on the line what really counts goes far beyond anything that might happen on the pitch. Mind you, with all this pressure bearing down on this afternoon’s game, facing fellow promotion contenders Bradford City is undoubtedly a test of character for Paul Tisdale and the boys. But it is one they surely have the mental and physical resources to take on. This has been shown several times already over the past year, when reversals were turned around and momentum regained. Toughness and resilience are traits the Bantams know all about. Ten years ago then manager Paul Jewell bought the Valley Parade club's first £1 million signings. He then guided the team up to the top flight for the first time in 77 years with a second place finish in the Championship. But that sweet moment of triumph was short-lived. Within a year, Bradford had worked through three managers and found themselves relegated back down to the second tier. Two years later, after a couple of reasonable seasons, they endured a second spell in administration, a further relegation to League One, and then a third dip down into the basement (for the first time in 26 years) in 2006–07. It’s easy to look back and decide, with hindsight, how things could have been handled differently. But you cannot revise the past, you can only resolve to make the most of the present and be ready to seize those opportunities the future may bring. That is what the Bantams have been seeking to do. Last season they finished just outside the play-off zone. This time they are aiming to go at least one better. But comparative to other teams searching for glory, Bradford have struggled on the road, losing nine out of 17 matches and running up a minus-four goal deficit. All this should give the Grecians encouragement for a positive result today. But it guarantees nothing. Exeter have the skill and football know-how. Now is the moment for real application from team and fans alike. Sons take on Elgin City at the Rock this evening. 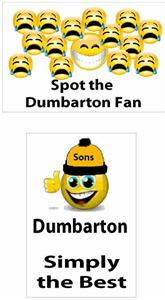 After a much needed win over menacing Albion Rovers on Saturday, a home victory this evening would put Dumbarton back into contention for the Third Division title... just. If we win our game in hand over Cowdenbeath and don't drop any more howlers we will find ourselves just four points away from them, following the Blue Brazil's [who are they kiddin'?] surprise defeat at the weekend. When I wrote my programme note for the Wee Rovers game, it looked as if we were staring at a 10 point deficit, and frankly it's been appearing 'game over' as far as the champions spot is concerned for some time - though I have always maintained that Sons will be in the play-offs in May '09. But it only takes a couple of results to render the pundit wrong, wrong, wrong. Today I'm feeling optimistic again. In a few hours time that could have changed once more. Meanwhile, the games keep on coming. I find myself 8,000 miles away from SHS at the moment, but I'll be there for Annan Atheletic on 21 March. 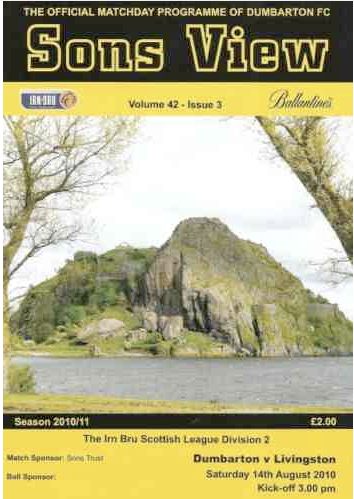 Dumbarton: simply the best... at dragging you along by the heart strings ... and then? Ach, we'll see. 'Mon Sons. As for my locals Exeter City, well they are right in the League Two promotion mix, and having beaten Luton Town on Saturday need three points against Bournemouth tonight to keep the pressure up. St James' Park is where I would be if I was at home. As it is, I will be sitting in New York typing my programme note for the Bradford City match this weekend. And enjoying a beer. This evening we welcome to the Rock the team currently in the unenviable position of propping up the entire Scottish Football League. But that will not lead Dumbarton to treat Elgin lightly. After all, Montrose probably thought they would walk away with the points when they travelled north at the end of February, until Jason Crooks’ first goal of the season helped City upset the Gable Endies’ promotion bid. The Black and Whites have recorded only one win and one draw in ten away matches before their recent games against Albion Rovers and Annan Athletic. The draw was at Berwick. But the win was against high-flyers Cowdenbeath. As for Sons, we dropped two points when we visited Borough Briggs on 9 August last year. Much more is expected here at Strathclyde Homes Stadium if we are to keep our play-off bid alive. In the programme for our home game against Albion Rovers I was writing about how one way we fans can end up coping with our feelings of powerlessness, especially when the going gets tough, is by crunching numbers and staring at fitba stats. What prompted that thought, as I recall, was sitting at my keyboard in the afternoon watching ‘Countdown’ on the telly. Oh, the joys of being a home-based worker! Even if you haven’t seen Channel Four’s trademark words-and-figures show in a while, you will probably know that the new host is football presenter Jeff Stelling from Sky Sports, and the new Carol Vorderman (if she’ll forgive me putting it that way) is a smart and attractive young maths grad called Rachel Riley – who also loves the game and has some experience as a goalkeeper. “Two from the top, please,” said one contestant, staring at the options on the numbers board. “If only”, I thought – contemplating Dumbarton’s quest for glory, before you make any other assumptions. Yes, I know, third or fourth “will suffice” to give us a crack at the play-offs in May. But making do with the least you need to achieve in order to get to the next foothill isn’t what provides the backbone of a serious, sustainable promotion bid. Even though we have experienced some fit-falls of late, I still believe Sons should continue to aim high (and shoot low). The championship has all but slipped away, but the next best thing is still there, even if it takes a massive effort through to the end of the season to achieve it. A couple of months ago I passed the aforementioned Jeff Stelling as he was heading into a recording studio. As he was rather evidently in a hurry, I never got the chance to ask him what he thought about Dumbarton’s chances this term (you’d be amazed by what he knows about the game). Still, I reckon Jeff would have a good notion about the agonies of being a Sons fan. “I’d rather live with Hartlepool than with Haemorrhoids – well, most of the time!” he quipped, after some bit of ‘Countdown’ medical banter last week, involving a Dictionary Corner celebrity doctor. Talking of which, a win against Elgin City tonight would be just what the GP ordered – if he or she had any concern for the health and wellbeing of hundreds of people in the gold, white and black. As for me, I’ll be scouring the Internet for Sons news from the other side of the Atlantic over the next couple of weeks, since my plane to the USA took off on Monday. In theory I might have been sharing the berth with David Beckham – though he’d have been in business class because his private jet had developed a technical fault, whereas I took the cheapest option that didn’t involve actually pushing the plane up the runway. As I write, however, it appears that AC Milan is negotiating a deal whereby Goldenballs may get to stay in Europe until 30 June on loan. Then he would return to Los Angeles for six months and come back to Italy in January 2010. Or maybe not. Life gets rather complicated if you are a football superstar. But the heart of the game is in places like the Rock. I know that’s a terrible cliché, but it’s true. Give me a choice between SHS and the San Siro and I’d opt for Dumbarton’s home every time. Well, OK, I’d certainly choose Milan once. But you know what I mean. ’Mon Sons! Everything has a crack in it somewhere, says singer-songwriter Leonard Cohen. That’s what let’s the light in. It’s a noble idea. So long as the crack isn’t big enough to let a goal past us too, thinks the football fan! At the beginning of the season, Exeter City boss Paul Tisdale made it plain that he wanted Exeter City’s home matches at St James’ Park to be the bedrock of the Grecians’ first campaign back in League Two. That meant as few cracks as possible. Well, there have been some home setbacks, inevitably. But in recent weeks we’ve seen some great performances on home turf, with the frustrations (like three recent draws and two losses) coming on the road. This afternoon the Grecians have the chance to ‘mind the gap’ again against Bournemouth – and, what’s just as important, to find some cracks in their defence so that we can earn valuable goals and points in the promotion chase. There’s no doubt that the home support makes a significant difference to the cause. Stoke City manager Tony Pullis said recently that his side’s recent mini-turnaround in the struggle to stay in the Premier League owed a good deal to the fans. “Teams that come here have to play against the supporters as well as our team,” he declared. When the Big Bank is on song, this is true at Exeter, too. That said, things can go a bit silent when we’re down on our luck or form, and just occasionally frustration with the officials, the other team and even local rivals Plymouth can overcome the urge to do the thing that really matters – cheer on City to victory. The importance of collective values is one of the things that makes football particularly interesting in an age where individualism and a “what’s in it for me?” culture has tended to dominate. What matters most is the team and getting behind them. We might have our favourite players, our memories of those who served the club nobly in the past, and our hopes that those who wear the shirt today do so with pride rather than out of expediency. But above all it’s the identity, loyalty and tradition of Exeter City that keeps the show on the road. Likewise, customers may come and go, but it is the shared commitment of the fans who turn our rain and shine, the supporters groups raising cash and morale, and the Trust running the club which has got the Grecians to where we are today – within sight of another rung on the football ladder. In this game, the term “following the crowd” should not mean sheep-like behaviour, but the aspiration to stay together and work together for the common good of the team and all those to whom it means (and has meant) so much. That might be a matter of fierce competition on the pitch, but it depends on a considerable amount of cooperation off it. This applies in matters of ownership, too. The Cherries are trying to escape recent troubles, and it looks like a Middle East consortium might be the answer. But tough questions are rightly asked when such arrangements are made. For in the football world, things can get opaque – as the Jersey Royal Court’s recent to uncover the complex chain of ownership at troubled Leeds United showed. This is something all who care about the future of the game should care about. When things go wrong it is fans who end up paying the price if their team is docked points or relegated. That is why transparency matters. What is needed is for clubs to be owned by what lawyers call ‘natural persons’ – individuals and societies who can be recognised – rather than shady investors obscured by offshore assets. Clubs run by provident societies like the Trust at Exeter are accountable to the fans who fund them. We have suffered in the past, but now we are on the road together. By the time you read this, you may be feeling relieved because the Sons managed to claw back some dignity and momentum against East Stirling last Tuesday night, having suffered the ignominy of 3-1 and 5-2 defeats in our previous two encounters. Alternatively, you may be downright despondent because we slipped further. Either way, grab another pie and chew on this. Victory against Albion Rovers at the Rock this afternoon would be significant step forward, because our opponents, with games in hand, have been sneaking up on the top four from the lower reaches of the table without quite being noticed. They may turn out to be the ‘dark horses’ of this Third Division campaign, and we all know what happens when you underestimate those. I figured this through the simple expedient of working out where the Wee Rovers would be if they claimed a majority of the points available to them in their catch-up games, based on previous form. You’ve probably looked at Dumbarton’s schedule and started making similar calculations, with suitable allowances for the likely performance of others. You haven’t? Ah well, perhaps you have a life. Or maybe you’ve figured out that this game is played on grass rather than a calculator. However at this stage of the season, when the number of second chances your team can hope for shrinks mercilessly, it is natural for fans and pundits alike to start poring over the exotic statistical possibilities offered by league and form tables. The aim is to discern some otherwise unnoticed pathway to success. ’Mon you digits! For example, as I drowned my disappointment over last week’s game at Ochilview with a wee dram of Ribena, I found myself noticing that Dumbarton had drawn more games than any other side in the division. This is especially true at home – where we are matched only by on-the-slide Stenny. Albion Rovers, on the other hand, have predominantly won or lost on the road. Only two of their first 12 away games ended with the spoils shared. A statistician friend of mine (who prefers offering sage advice to buying rounds) spent a few minutes considering the mathematical runes while I bought him a packet of crisps. Then he pronounced. Purely on the table, he suggested, the overall odds slightly favoured a Sons victory over Albion, but the best betting option might be a draw. Then again, you could come up with different outcomes based on comparative form over four, six or eight games. In short, in spite of the vague scientific veneer provided by scrutinising stats and crunching numbers, all this is basically the football equivalent of astrology. It sounds convincing to those who want to believe, but when you start to look behind the predictions there’s not much there. Knowing whether we’re up to it or not is as much intuition as analysis – or persuasion, if you’re in the dugout. The same applies to the random stuff summarisers come out with on telly: “This team hasn’t lost an away game in this particular league on a Wednesday evening in 28 years.” Well, yes. Except that for 24 of those years they had entirely different players, a different manager and opponents who were, er… different. Plus they rarely play on a Wednesday. The only relevance is the psychology. If you think the past will increase or reduce your chances, it could do. Because you’re letting it. So the most important thing is not numbers. It’s how capable your players are, how well organised they are, how adjusted they are to the opposition’s strengths and weaknesses, and what their state of mind and fitness is. Easy. Forget the amateur stats. Become a manager. Everyone will love you, and compared to the higher mathematics of punditry or fandom that makes it a piece of cake. Sort of. If anyone had said at roughly this time last year that “one of Dumbarton’s main promotion rivals this time next season will be East Stirlingshire”, they might well have found themselves getting some distinctly quizzical or ‘sympathetic’ looks on the way back to the bar. Back at the end of February 2008 the Shire were in the process of hitting the bottom of Division Three, where everybody frankly expected them to be, with us not that far above. We had beaten today’s opponents 3-1 at the Rock in our previous encounter, and then in March the Sons had to be content with a deadening 0-0 away draw. The agenda for the latter half of the season for both clubs then became avoiding the wooden spoon – which we both managed to do, though it seemed like a scant achievement at the time. Sons had hoped for much more, though we knew we were up against it from the start. How fortunes wiggle and wander. In both camps, the rebuilding has been substantial… but remains unfinished. This evening we and East Stirling find ourselves face-to-face for the second important game against each other in only four days. It’s an encounter that could significantly boost or deflate morale as we chase a play-off place for May ’09 – the dates for those games now having been set by the SFL between the 13th and 23rd. I was going to say “play-off place or better”, but realistically the loss of two home points against high-flyers Cowdenbeath on 21 February, when John Dempster secured an equaliser for the Fife side after Pat Boyle’s opener, makes title claims an outside chance for the Sons now – though not an outright impossibility. As for the all-important 2008-9 finishing line, it might still seem a long way off from where you are seated right now, but the rest of the season is about to hit us with a frightening intensity. After a period of forced inactivity at the end of the winter, Dumbarton will come out of tonight’s match with just three days in which to prepare for welcoming Albion Rovers to the Rock… which in turn will be the first of five games in 14 days, and part of a sequence of seven matches in one month. Whatever way you look at it, it’s going to be quite a battle. At the midpoint, on the eve of the Ides of March, appropriately enough, we are away to Montrose – who were early contenders for the top spots, have dropped off quite a bit of late, and will be scrambling over the next few weeks to try to get back into promotion contention. As is always the case in football, quite a few imaginative scripts and scenarios could be written for the next few weeks. It’s not just at the Oscars that people like to prepare their speeches on the basis of what might be! But the only stories that will count are those that work themselves out definitively on the park. So by the time the Sons welcome Berwick Rangers to SHS for the first home game in April, we fans will either be licking our lips, gritting our teeth or holding our breath. No wonder we are usually seen as… well, mouthy. Part of the joy of this game is that, within some fairly clear parameters, you get to make up the plot as you go along. And while it’s always the case that the pundits and scribes will try to look back and authoritatively pronounce on where “the turning point” was, for either good or ill, the truth is that at the time no-one quite knows. Not even the know-alls. The job of the good football coach, indeed, is to turn the minds of his players away from the kind of idle speculation I am indulging in here, the sort which keeps us supporters merrily occupied in lingering moments between match action. His task, by contrast, is to get them to focus on the fact that it is here and now that they can grab the opportunity before them. Fortunes can be turned in an instant on the pitch. Glory and despair are rarely more than a kick away. This, of course, is what keeps us cheering and sighing, hoping and wondering, praising and moaning… but above all, coming back to the Rock for more. It's good to see that there's some real heart left in football. The York City fans who collected money for struggling Weymouth before their home game against the Terras on Saturday 28 February 2009 are to be congratulated. In the often bitter world of modern football fandom, not to mention the cut-throat financial climate, solidarity of this kind is not as usual as you'd like. York secured a fairly comfortable 2-0 win against the cash-strapped southern side, who have lost their first team and are staring extinction in the face. The locals are determined to keep them afloat, however, and the 17s youth side put up an incredibly brave fight on the field, having been hammered 9-0 at Rushden and Diamonds last week. I really hope the Terras can keep their heads above water. Donations to keep Weymouth alive can be made here. Before administration and their recent defeat against Rochdale, today’s visitors, Darlington, were in prime position to contend for top spot in League Two. Even with that setback they are still firmly in the play-off zone and have their sights set high. That said, we all know that games in hand are not the same as points in the bank. As for the Grecians, they enter this contest undefeated in five games and bolstered by two stirring home victories. The dropped points away against Chester are less pleasing to contemplate. But there is a gritty resolve to this squad. It keeps fighting back. One thing we can be sure of is that there will be more twists and turns before the season is out. At present Exeter City sit on the cusp of the promotion places, with just six points covering the six teams immediately above us, and Brentford in poll (but far from unassailable) position. All of which makes this is an important game. It may seem tight at the top, but when one of the upper-third rivals beats another, or allows a nearby competitor to gain valuable catch-up points by drawing, the situation can suddenly look rather different. Over the next month the automatic promotion places will belong to the most consistent of the quality sides in the division, and they will attempt to pull away from the pack. The task is to stay with them. It’s a bit like a marathon road race. Can we handle the tension? Sure. For while top-half ups and downs may play minor havoc with those football-related emotions, there are far worse fates. Looking to the problems being faced by Darlington and by old friends and foes in the Blue Square Premier illustrates that point rather vividly. By the time you read this, the fate of Weymouth may already have been sealed. Administration or liquidation seems inevitable, barring a miracle involving £300,000. Given the crazy sums lobbed around in the Premier League, this is a miniscule amount to determine something as important as a community football asset, but that’s the reality gap we now have to mind. I like to think that if Exeter City had ever been in the kind of straits that meant fielding a youth side against professional opposition, the people who headed down to the betting shop to wager against their own team would have ploughed a fair stash back into the club. Well, in Weymouth’s case, that didn’t seem to happen. The bookies reportedly paid out around £1 million in late bets. The FA is investigating to check there were no irregularities. Meanwhile the Terras have had more immediate problems, such as the imminent loss of their entire first team – including ex-Grecians Santos Gaia and Lee Phillips. Things are not quite as dire at Ebbsfleet United, following their takeover by ‘fan owners’ from the Myfootballclub website. But fair weather friends could yet see them sink. Fewer than half of the required members have renewed their £35 annual subscriptions. Some attracted to running a football team by popular vote perhaps thought that a side with the size and reputation of Leeds United could be purchased, and even an FA Trophy win last season doesn’t seem to have kept their hearts in Kent. A few have not even logged onto the website yet. The upshot is that Fleet are some £230,000 short of meeting their £500,000 target required for the day-to-day running of the club. Indeed. But a football club is not a ‘concept’ to the true fan, and the possibility of its extinction is rather more than ‘interesting’. I want Ebbsfleet to survive. But in the long run the Trust idea seems to me the most stable way of getting loyal supporters involved in ownership and development. Exeter City is showing us how it can be done.